A glimpse of multi-player combat. Frozen Synapse is a turn-based tactical shooter, featuring pseudo-randomly generated spaces, asychronous multiplayer matchups, and a frenetic pace. It's received considerable critical acclaim since its release last year, and has earned nominations for two awards at the Independent Games Festival. There's also an iPad version, and DLC on the way. We had a chat with Mode 7 to learn more. Game On: Who are you, and how did you get into game developing? Paul Taylor: I co-own an indie game development studio with my business partner Ian Hardingham, who is our Lead Designer and Programmer. I got into indie games through writing music for our first title Determinance. After that we decided to join forces and form a proper company. Game On: What is Frozen Synapse? Paul Taylor: We call Frozen Synapse a "simultaneous turn-based" title. Two players face off against each other with a small squad of units. Each player must decide what his units will do in the next five seconds. Once both have made their decisions, they then watch the outcome and see who came out on top! 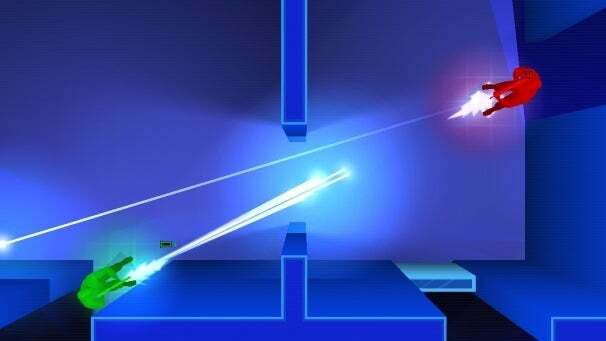 Ian came up with the idea after playing a lot of an old PC game called Laser Squad Nemesis. He wanted to make a more modern, exciting, instantly-playable version of it that foregrounded the interesting decisions. Your readers should play it because it's got insanely good reviews and it's brilliantly unique! Game On: What tools and training did Ian employ to create Frozen Synapse, and how long did you spend working on it? Paul Taylor: Ian has a high-level Computer Science degree, so that's helped him out a lot with the code side of things. We just used pretty standard development tools like Visual Studio; the game was made in the Torque Game Engine. We spent about four years creating it, on and off. Game On: What are you most proud of Frozen Synapse for? Is there anything you wish you could have done differently? Paul Taylor: I'm most proud of it for bringing Ian's design genius to the world in an acceptable form! There isn't all that much I wish we'd done differently: maybe I would have changed the initial part of single player, which is a bit hard, but aside from that I'm really happy with how it turned out. A close look at single-player shootout. Game On: How do you feel about the IGF in general, and this year in particular? What are you excited to do, see and play at the show this year? Paul Taylor: We have entered the IGF every year for six years and this is the first time we've been nominated, so it's really exciting! This year is insane because there are so many amazing games in there, especially Spelunky, which is one of our favourite indie games of all time. I'm just going to be amazingly excited to be at the awards ceremony - getting nominated was this ludicrous dream that we've had since we started making indie games, so sitting there at the awards practicing my "gracious in defeat" face will be hilarious! The silly experiences you have doing this are one of the main reasons that the hard work is worth it, and that will just be another brilliant thing to add to the list. I want to play Fez - I have heard so much about it but never actually laid hands on the thing. Also I really love the concept and visuals of Dear Esther, so getting to have a proper look at that will be cool. Game On: What might you say to a reader eager to dabble in indie game development? Any tips or warnings? Paul Taylor: Don't dabble! If you're doing it yourself, learn how to program and write a couple of very simple games. Then read this and get started on an ambitious project that will change the world. Game On: How and when can our readers play your game? You can also pick it up on Steam and other digital distributors.